I was stressed the first time I visited Tatte Bakery and Café near Kendall Square. As excited as I was to be visiting MIT’s journalism lab in an hour, I was running on about two and a half hours of sleep. Also, the previous day, a Red Line train had started moving down the tracks without a conductor, blowing past three stops before power was finally cut to the third rail. This added suspense to my morning commute—anything can happen on the Red Line!—and the resulting adrenaline rush left me further exhausted by the time I arrived at the MIT campus. I had earned some good food. Food is how I celebrate a good day, cheer myself up on a bad day, try to make all the ordinary days in between a little more memorable. And on this excited-exhausting morning, I had earned, specifically, an almond croissant from an acclaimed bakery. The croissant is the king of French pastry, and so often bastardized when mass-produced for the big chains that one can forget just how divine the pastry can be when the crescent-shaped layers of dough and butter are treated like an art, like at Tatte. 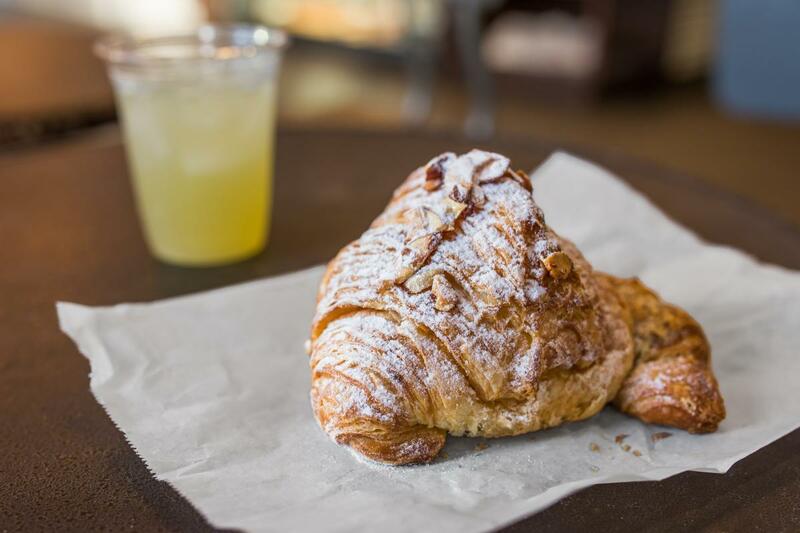 The bakery and café offers a few varieties of croissant, including pistachio and chocolate, but almond is my favorite. Here, the flaky exterior was crispy, while the interior was fluffy with distinct doughy layers, offset by a thick textured almond filling. Tatte Bakery and Café was started by Tzurit Or, an Israeli filmmaker-turned-self-taught-pastry-chef. 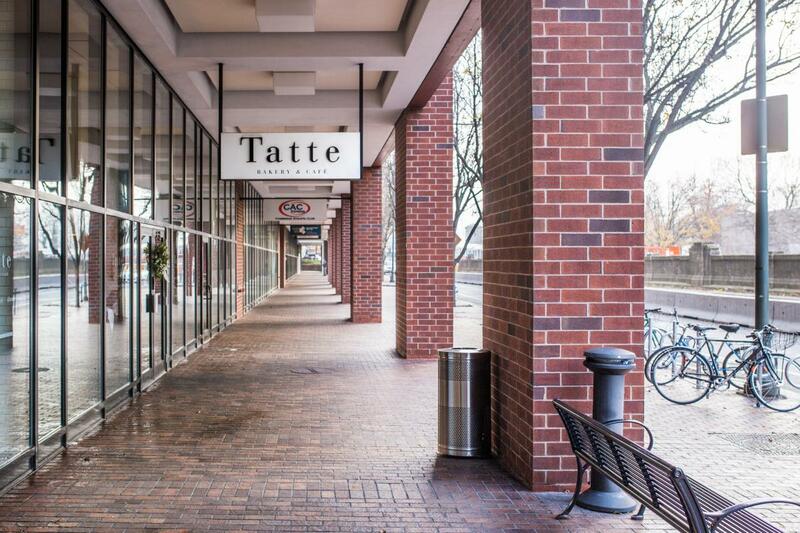 With locations in Beacon Hill, Brookline and three in Cambridge, Or has turned Tatte into a mini bakery empire. I visited the location at 101 Main Street in Cambridge, near the Longfellow Bridge and about a six-minute walk from the Kendall/MIT train stop. The breakfast and lunch menus on the blackboard deftly weaves Mediterranean, North African, Middle Eastern and French influences into a cohesive café spread: a mezze plate with hummus, marinated olives, eggplant, tahini dip, spicy whipped feta, cucumber yogurt and pita bread; shakshuka, poached eggs in a spicy red sauce with onions and chilies; crunchy Halloumi salad with toasted carrots, onions, radishes and white raisins topped with parsley, mint and celery; and a croque-monsieur. A croque-monsieur is a French ham-and-cheese breakfast sandwich, except amazing. It is the way I would start every day of my life if I had the time and culinary skills. Unfortunately, I rarely have the former and never had the latter, so you can imagine how excited I was to finagle a croque-monsieur into my morning. Plus, while most restaurants I’ve visited serve croque-monsieurs open-face on a slice of brioche, Tatte does it up in a croissant. 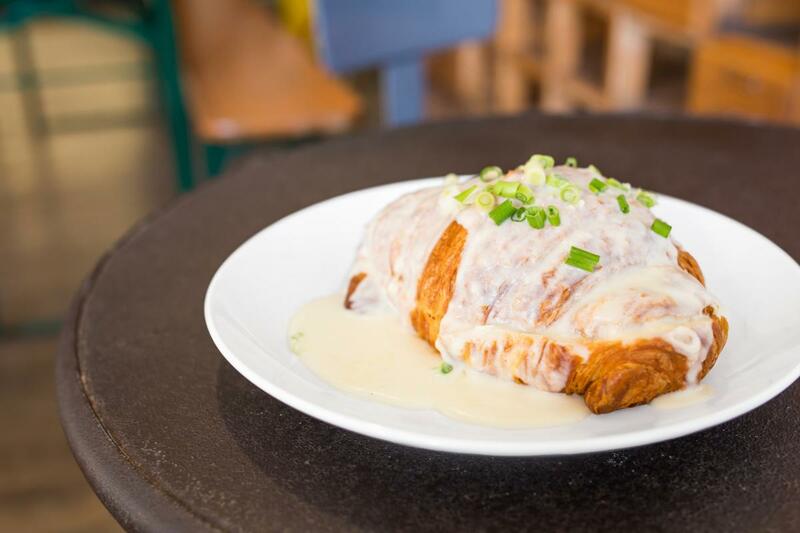 The croissant arrives on a plate in a pool of Mornay sauce—a buttery, creamy Béchamel sauce serves as a base, with egg yolk and shredded Gruyere added—sprinkled with scallions. Tucked inside the croissant is a liberal serving of ham, hot and thinly-layered, with more Gruyere, all melty and lovely. If you feel inclined to add an extra punch of umami, you can make it a croque-madame by adding a poached egg for an additional $2. I realized on my first bite that this rich and filling dish might be more likely to put me to sleep than wake me up during my already-fatigued haze, but I just couldn’t stop. If they had to roll me back home, it would be inconvenient, but worth it. 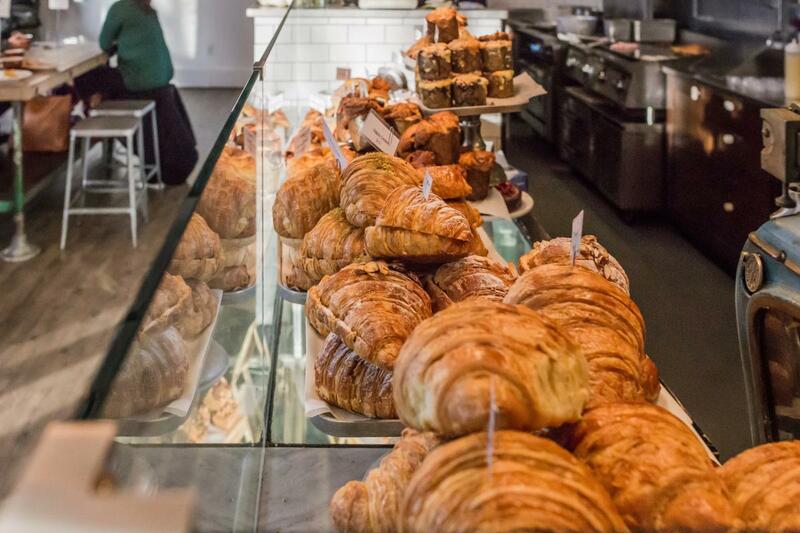 Tatte's top-notch bakery fare is a fantastic reward for waking up. And if breakfast is the most important meal of the day, I want to be eating the croissants and croque-monsieurs at Tatte.